Today we’re taking a look at our cask taps and some of our favourite drops to pull through them. 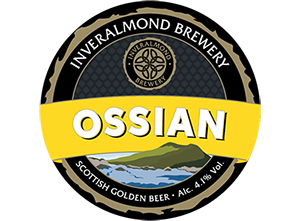 Ossian Ale is one of the pillars of the Inveralmond Brewery, representing their famous take on pale, golden ales. Characterised by its hoppy, orange zest aromas and nutty full bodied taste this beer has been a firm Scottish favourite for many years. It sees its way to our taps frequently so keep an eye out if its one of your favourites too! 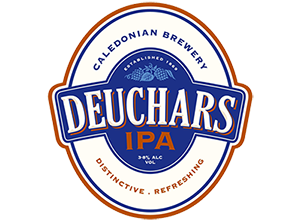 One of Scotland’s most popular and highly decorated ales, Deuchars IPA takes pride of place next to our house ale. With a session friendly ABV of 3.8% and a long lasting, refreshing aftertaste of aromatic hops and zesty lemon this classic IPA can pair with our spicy chicken wings, peppery haggis or Cajun chicken Caesar salad. It’s also the beer of choice for our Golf Tavern Beer Battered Haddock! 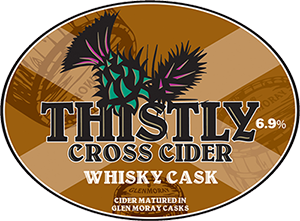 Interesting fact: The Glenglassaugh whisky barrels used by Thistly Cross are the same barrels I used to climb and play on as a kid, to the dismay of the distillery grounds keeper. Tom, GM. Why not come down to the pub and see what we’ve got on today, we’re always changing our guest to keep things interesting? Book now on the website or call 0131 221 5221.